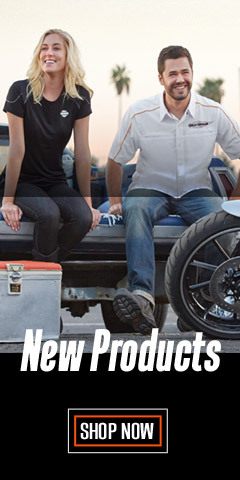 With nearly 400 items, you are going to love in this section of Harley-Davidson® watches and fine jewelry for both men and women. For the ladies, adding jewelry accessories to your wardrobe refreshes and extends its life. It’s amazing how different your favorite top looks when worn with a sterling silver necklace, or a dazzling watch. Couple that with dangling earrings and your outfit moves from everyday backyard to street chic. We also have men’s jewelry, including bracelets and rings. 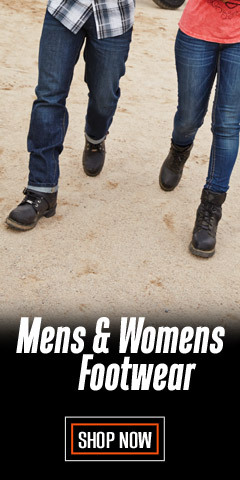 Select either Men's or Women's to narrow your search by gender. You can further narrow your search by selecting the sub-categories shown. For Men, it's Watches and Jewelry. For Women, the list is more extensive and includes Watches, Rings, Necklaces, Bracelets, Earrings, and other jewelry. Our timepieces are made by Bulova® under license from Harley-Davidson®. Wristwatches are about more than just telling time. They are jewelry and make almost any ensemble sing. Harley-Davidson® and the designers at Bulova® are always working together to produce these amazing timepieces. They have inspired many watch styles over the years. For the men they are big and bold. For the ladies, gone are the ho-hum uninspired watches of yesteryear. In either case the choices are from the avant-garde to the classic, including complicated mechanical self-winding chronographs, as well as quartz/battery powered watches. All watches feature Harley® logos and come with high quality stainless steel or leather straps. 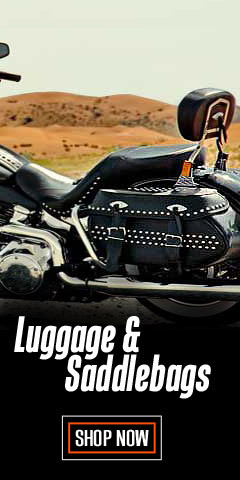 Select from classic Bar & Shield® or Harley® Skull logo designs. 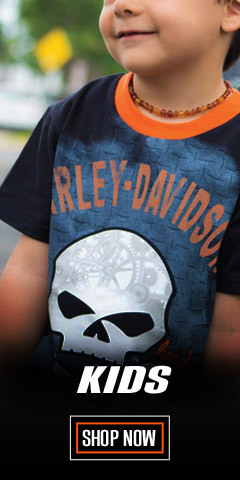 Some Harley-Davidson® watch styles are casual and perfect for a day on the bike. Other watches are stylish enough for evening wear. All Bulova® watches come with a 2-year Factory Warranty from Bulova®. 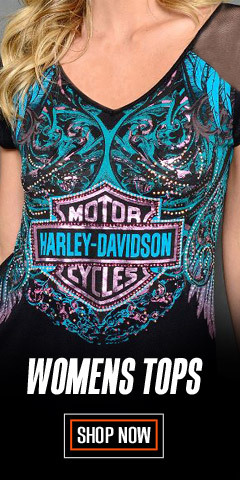 Harley-Davidson® has also licensed MOD® Jewelry Group, Inc. to manufacture Harley-Davidson® branded fine jewelry. The end result is that whatever necklace, ring, or bracelet you select - you are getting the absolute best. Remember, giving Harley-Davidson® jewelry as a gift will always hit the mark, too. Add Harley-Davidson® styled rings to her jewelry box. Give him a classic dog-tag necklace with the Harley-Davidson® logo. MOD® Jewelry Group, Inc., located in Costa Mesa, California, and Harley-Davidson® offer stunning jewelry collections that are fashion forward and one of a kind. Whether it’s bling Bar & Shield® earrings with crystals, or a sterling silver necklace, you’ll be a step ahead shopping right here. 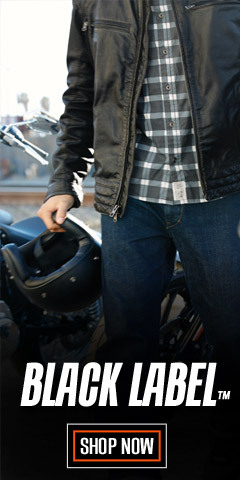 Get the best at WisconsinHarley.com where design teams from Harley-Davidson®, Bulova®, and MOD® are always working for you.